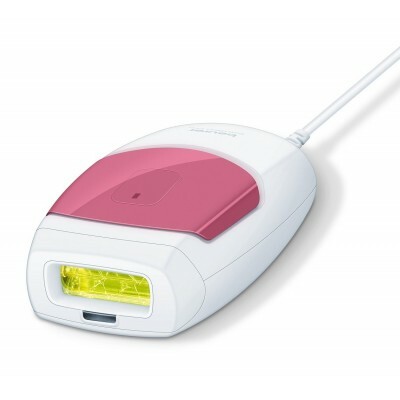 Light pulse technology also used by dermatologists for professional hair removal. IPL (an Intensed Pulsed Light) disables the hair follicle deep under the skin, thus prevents from growing hair. 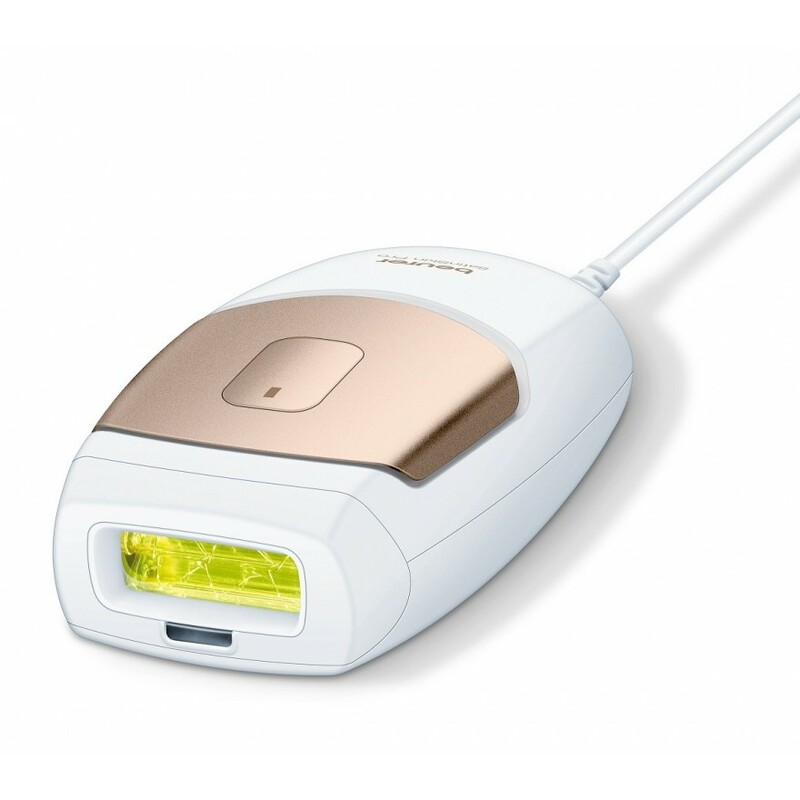 SatinSkin Pro IPL 7500 gives you safe and effective professional salon technology hair removal at the comfort of your home. 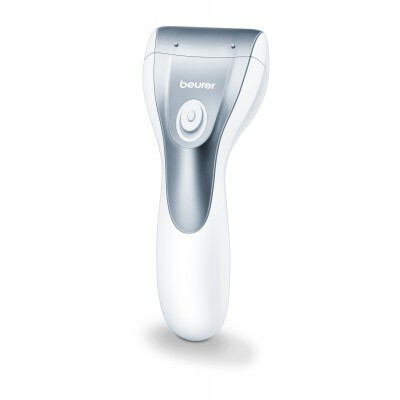 The Beurer SatinSkin Pro IPL 7500 is intended for the removal of unwanted body hair. The ideal body areas on which to use the Beurer SatinSkin Pro System are the legs, armpits, bikini zone, chest, stomach and face below the cheekbones. What is the Beurer SatinSkin Pro System? 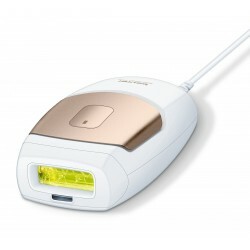 The Beurer SatinSkin Pro System is a light-based device for lasting hair removal for private use. The hair removal process based on laser and light is a well-known and proven method. In 15 years of clinical applications around the world, it has proven to be a safe and effective method for achieving lasting hair reduction. How does the light remove the hair? Light-based hair removal is founded on the principle of selective photothermolysis, which uses optical energy to deactivate hair growth. To achieve such a thermal effect, the hair shaft must selectively absorb the light energy and convert it into heat. This selectivity is achieved when the optical energy that is released into the tissue is mainly absorbed by the pigment of the hair shaft, while the skin and the surrounding tissue remains cool. Melanin is the pigment in the hair shaft that is responsible for absorbing the light and generates the heat that ultimately deactivates hair growth. Therefore, the more melanin present in the hair (i.e. the darker the hair), the more light can be absorbed and the more effectively the light can work for the hair removal. What effect does the hair growth cycle have on light-based hair removal? Every hair on our body goes through the three phases of the hair growth cycle: anagen, catagen and telogen. These phases have a significant influence on how effective the light-based hair removal is. Anagen is the hair growth phase, while catagen and telogen are both resting phases. Although the duration of a complete hair growth cycle differs from person to person and depends on the area of the body the hair is growing on, the cycle generally lasts 18 to 24 months. At any given time, the majority of the hair follicles on an area of skin are in the resting phase. The Beurer SatinSkin Pro System can have no effect on these resting hairs. However, the hairs in the anagen growth phase respond to treatment using the Beurer SatinSkin Pro System. Please note that a complete hair growth cycle is required to achieve complete hair removal using the Beurer SatinSkin Pro System. 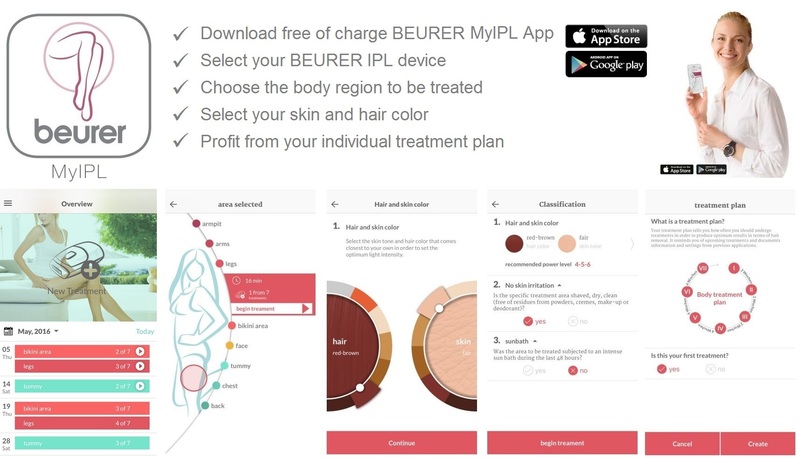 • IPL technology with the Beurer SatinSkin Pro System – The highest level of safety with the lowest level of energy Thanks to Intense Pulsed Light (IPL) technology, lasting hair removal results can be achieved with a mere fraction of the energy used by other light-based hair removal devices. The low level of energy used in the Beurer SatinSkin Pro System reduces the potential risk of damage or complications and contributes to your general safety. • The Beurer SatinSkin Pro System protects your skin Light-based hair removal is not suitable for naturally dark skin tones or tanned skin. The Beurer SatinSkin Pro System features an integrated skin colour sensor that measures the colour of the area of skin to be treated, meaning that it is only possible to use the device on suitable skin colours. This safety feature prevents you from treating your skin if it is too dark or too tanned. The Beurer SatinSkin Pro System applicator features built-in UV protection, blocking dangerous UV radiation. • The Beurer SatinSkin Pro System protects your eyes. To protect the eyes, the Beurer SatinSkin Pro System applicator features a built-in skin contact sensor. The sensor was developed so that no light pulses can be emitted when the applicator is held in the air. The safety switch is only activated when the skin contact sensor is in full contact with the tissue. built-in UV protection, blocking dangerous UV radiation.